Kick off your visit on the 24th (Sat): trek along Bright Angel Trail. Keep things going the next day: hike along Rim Trail and then take some stellar pictures from Mather Point. For photos, reviews, where to stay, and more tourist information, go to the Grand Canyon National Park day trip planning website . 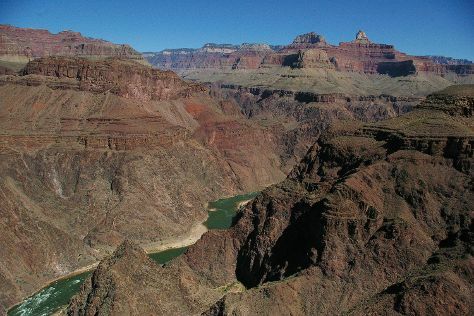 Philadelphia to Grand Canyon National Park is an approximately 13-hour combination of flight and bus. You can also do a combination of train, flight, and bus; or drive. Traveling from Philadelphia to Grand Canyon National Park, you'll gain 2 hours due to the time zone difference. Expect little chillier evenings in Grand Canyon National Park when traveling from Philadelphia in November, with lows around 22°F. Wrap up your sightseeing on the 25th (Sun) to allow time to travel to Las Vegas. 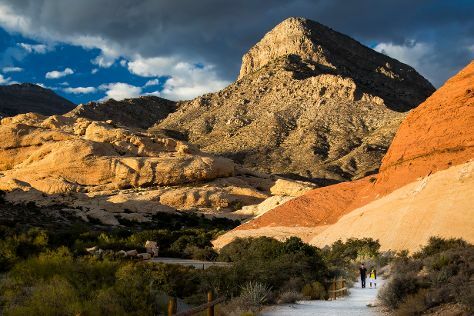 On the 26th (Mon), explore the stunning scenery at Red Rock Canyon National Conservation Area, then take in nature's colorful creations at Bellagio Conservatory & Botanical Gardens, and then ponder the design of Bellagio Fountains. Plan my trip to Las Vegas with suggested itineraries provided by Inspirock. Do a combination of flight and car from Grand Canyon National Park to Las Vegas in 4.5 hours. Alternatively, you can drive; or take a shuttle. Due to the time zone difference, you'll gain 1 hour traveling from Grand Canyon National Park to Las Vegas. Traveling from Grand Canyon National Park in November, you will find days in Las Vegas are a bit warmer (68°F), and nights are warmer (47°F). Finish your sightseeing early on the 26th (Mon) so you can drive to Bryce Canyon National Park. On the 27th (Tue), hike along Navajo/Queens Garden Loop, then take some stellar pictures from Inspiration Point, then take in panoramic vistas at Bryce Point, and finally get great views at Sunrise Point. Get ready for a full day of sightseeing on the 28th (Wed): take a pleasant ride with a tour on horseback, then trek along Navajo Loop Trail, and then explore and take pictures at Sunset Point. To see more things to do, reviews, other places to visit, and tourist information, use the Bryce Canyon National Park trip planner . Traveling by car from Las Vegas to Bryce Canyon National Park takes 5 hours. Alternatively, you can do a combination of flight and car; or do a combination of flight, bus, and car. The time zone changes from Pacific Standard Time (PST) to Mountain Standard Time (MST), which is usually a 1 hour difference. In November, Bryce Canyon National Park is colder than Las Vegas - with highs of 47°F and lows of 18°F. Finish your sightseeing early on the 28th (Wed) so you can drive to Zion National Park. Start off your visit on the 29th (Thu): trek along The Narrows. To find traveler tips, other places to visit, reviews, and other tourist information, go to the Zion National Park trip itinerary planning tool . You can drive from Bryce Canyon National Park to Zion National Park in 3 hours. Prepare for a bit warmer weather when traveling from Bryce Canyon National Park in November: high temperatures in Zion National Park hover around 61°F and lows are around 29°F. Finish up your sightseeing early on the 29th (Thu) so you can travel back home.